Have you ever found that your child’s elementary or middle school math program has a few holes in it? Are there certain topics that you really want your student to cover more for some extra practice and better comprehension? A+ Interactive Math has recently introduced Math Mini-Courses, and we were chosen to review two of them in our homeschool. I had my students work on their mini-courses a few times a week in addition to working on their regular math coursework. We viewed this as a very thorough supplement to work hand in hand with what they were already learning about, but much more specific and focused. There are 20 different options of mini-courses, including such topics as Early Elementary Math, Money, Advanced Fractions, and even Time. Each course is priced between $9.99 – $19.99 for one student and one parent account, and you each get full access for a full year. The courses only take a few months to complete, but it’s great to have the extra time there in case your student works through it more slowly or you need to do even more review later on. All mini-courses are completed completely online. There is nothing to download, no discs or workbooks to lose, and printing is optional if you wish to make paper copies of worksheets or tests for your student to work on away from the computer. Each course has the same basic format. Students have access to lessons which incorporate a video lesson (which is animated), audio, and text as well. After the lesson, there is an interactive review in which your student gets a bit of extra guidance while working on practice problems covering the concept that was just taught. It has tracking incorporated into the program so you can easily see which lessons have been completed. This is especially handy if it’s been a while since you visited the site last! Next, your student can do worksheets to reinforce the information. These can be generated online or to print to work on offline. The online worksheets have automatic grading. If you choose to print out worksheets, a parent can input those grades online as well for tracking. There are also tests available to generate. They can be completed online or printed out as well. Again, there is automatic grading and tracking, or information can be inputted by the teacher as needed. For folks that would like to print out the actual lessons, there are also PDFs available for those. These ebooks are divided by lesson, just like regular lessons are, and they include all of the text and information from the lesson. 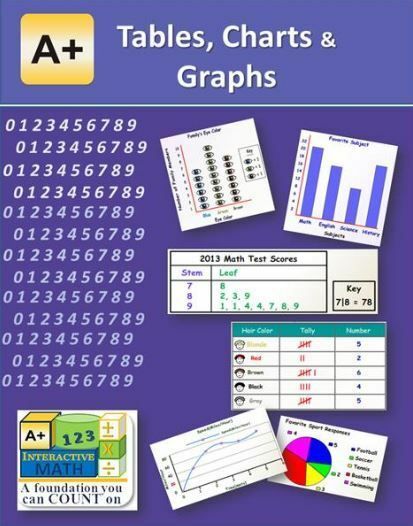 However, these PDFs do not include the interactive review/practice questions like the regular lessons do. Parents are able to access all of the information about how their students are doing. You can see which lessons have been completed, how the students did on their worksheets and tests, if they skipped questions, and an actual look at exactly which problems they missed. I like that you can also see the date that everything was completed on. If your student has made multiple attempts, you’re able to view each of them through the parent dashboard. My 5th grade daughter was chosen to review the course that deals with ratios, proportions, probability, and statistics. This is something that her main math program has touched on, but I liked the look of this mini-course because of how in-depth it seemed. This course says it is for students in grades 3-6. I think that it is actually a bit advanced as my daughter still had a little bit of trouble with it. The lessons had her learning new concepts that her current math program had not addressed yet, such as comparing fractions in ratios, like choosing an equivalent to something like 2/3 : 12/37. We had to work extra on this together so that I could work with her on finding common denominators and such to choose from the multiple choice answers for the problems. My daughter had a hard time with some of this and an easy time with other parts. What I like most is that I know that it is thorough and that she will have a much better grasp on this information once she is finished. It will ensure that she’s covered it and there are no gaps in her knowledge of ratio, proportions, probability, and statistics, at least at an elementary level. My 3rd grade son was chosen to take the mini-course covering tables, charts, and graphs. This one was listed as a good choice for students from 1st-6th grade, and I agree with that range. I wanted him to take this course because he has been introduced to these things in his normal math class, but has not gone into detail. For some reason, a lot of math programs seem to go from the easy chart and picture graphs in kindergarten to really complicated tables in middle school without a lot of reiteration and gradual difficulty in between. This short course works well as a stepping stone before he hits those more difficult math concepts in the next few years. He’ll be prepared! He did well on these exercises because the lessons were brief, and he was immediately able to practice the concepts. He was able to easily navigate the website and to know quickly and immediately if he got things right or if they were incorrect. The detailed information about how to correctly solve the problems helped when he did get something incorrect. Michael is my child of habit and order, so a program like this is perfect so that he learns it correctly the first time and learns the methods to set a solid foundation for future learning. 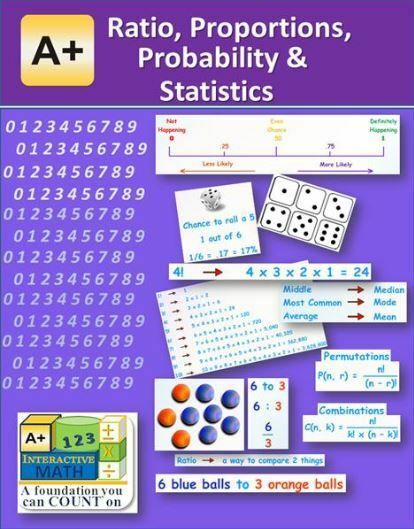 There are several mini-courses available from A+ Interactive Math. You can see a list of all of the math mini-courses to see pricing information. Simple click “More info” to see the grade level recommendations, as well as to see a comprehensive listing of the topics and subject areas covered by each individual mini-course. Click the banner below to see more reviews on the programs from other homeschooling families and how they used them to supplement their students’ math coursework. A+ Interactive Math has also offered us placement tests in the past, so be sure to read about our experience with that as well.